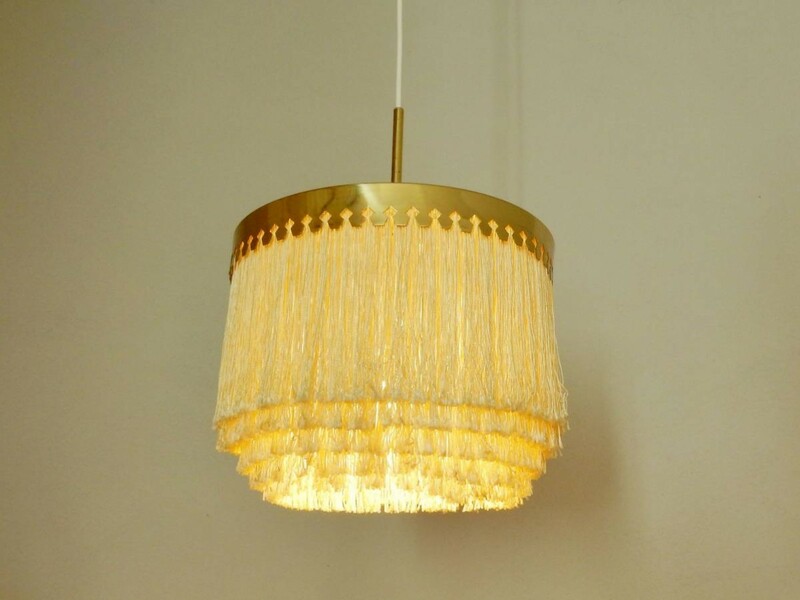 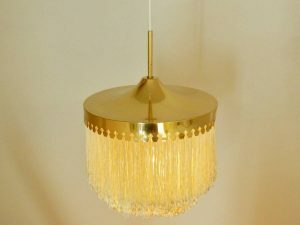 Pendant lamp by Hans Agne Jakobsson with silk fringes. 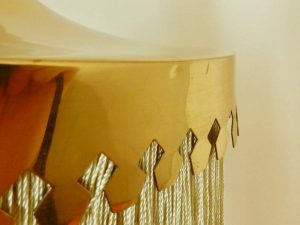 Sweden, 1960’s. 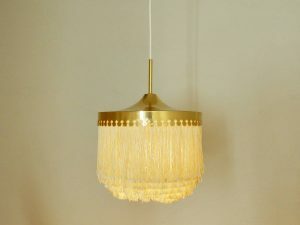 This is a design by Hans Agne Jakobsson from Sweden. 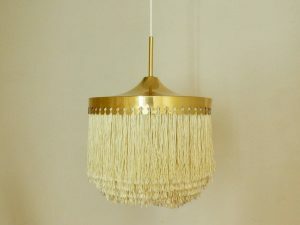 This particular one has cream colored silk fringes with a brass hood. 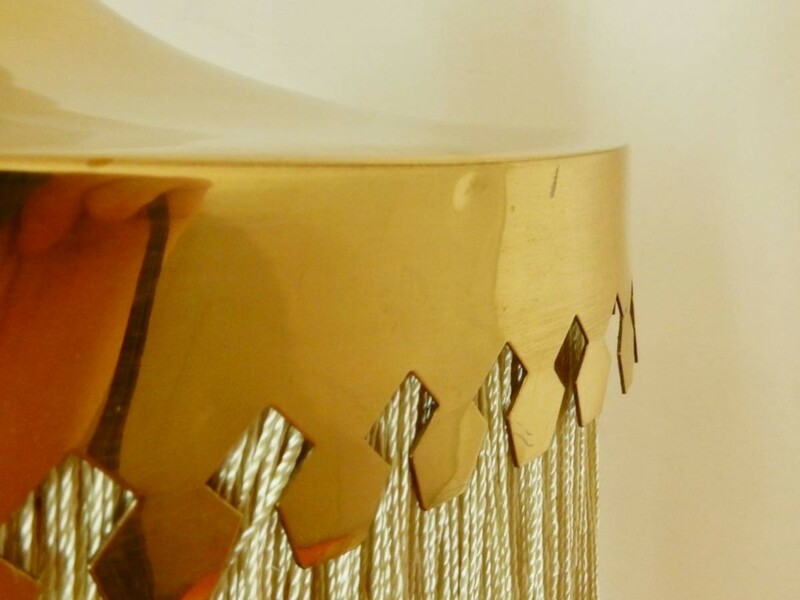 All in good condition with a small dent to a side, as pictured.